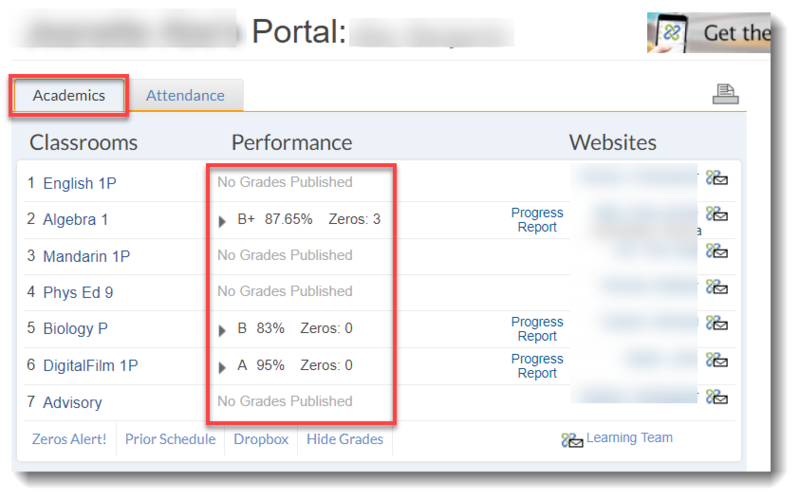 Students and parents are still seeing the last term's published grades on their portal. Students and parents will continue to see the last published progress reports until the first progress report for the new term is published. Teachers will need to publish at least one assignment worth more than 0 points in the current term. 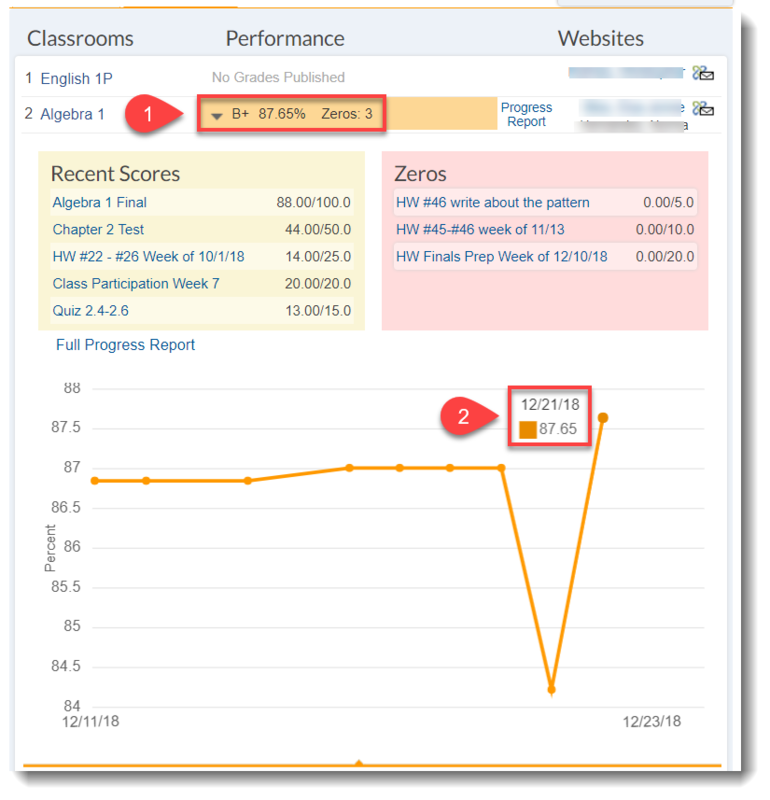 See Publish Progress Reports for teachers. Check the date of the grade submission. 1. Click on the grade under Performance. 2. 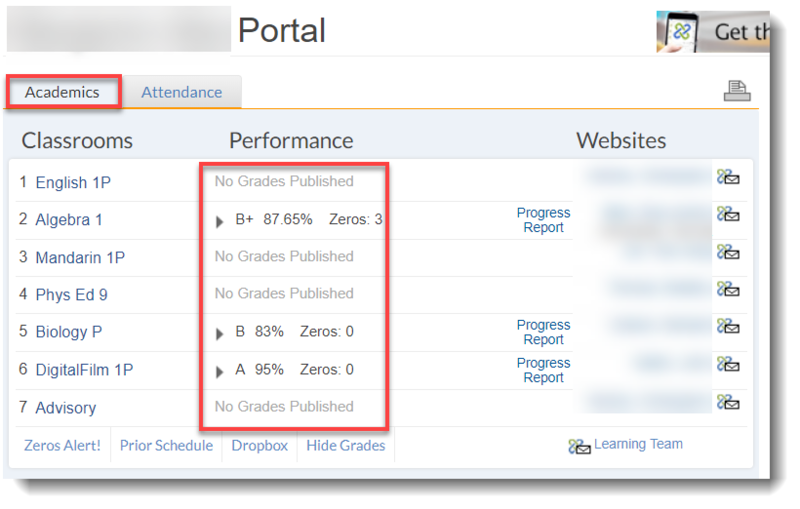 Hover your mouse on the last grade entry as shown in the screenshot below. If grades are still not updated after new grades get added, please notify your school or your teacher.